Zack Monroe, a three sport standout at Peoria Woodruff High School, is the only Peorian ever to play in the World Series. 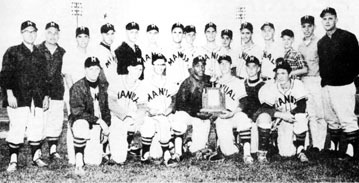 A Bradley University graduate, he appeared in the 1958 Fall Classic while pitching for the New York Yankees against the Milwaukee Braves. 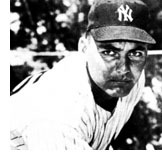 A former basketball player at Bradley, Monroe joined the Yankees in 1958, appearing in 21 games, winning four of six decisions before appearing in the World Series in a relief role. He later finished his career with the Cincinnati Reds. While at Bradley, Monroe compiled a 16-6 record while posting a 1.81 earned run average during his senior season, a year in which he went 9-4 while striking out 113 batters in 94 innings. An award for excellence in pitching is now named in his honor at Bradley.